The Treaty of Waitangi was signed on February 6, 1850 by Māori chiefs and representatives of the British Crown. The treaty brought New Zealand into the British Empire. It was supposed to give Māori the rights of British subjects, but they eventually lost much of their land and were treated unequally. The first Waitangi Day is believed to have been celebrated in 1934, when Governor-General Lord Bledisloe purchased the house where the treaty was signed. But annual celebrations did not begin until 1947. The 1947 celebration included a Royal New Zealand Navy ceremony. Subsequently, Māori representatives started to participate in the celebratory events. 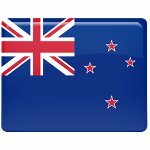 Waitangi Day was made a public holiday in 1973 by the New Zealand Day Act. Previously, any area of the country had had the right to substitute it for its provincial anniversary day. Celebrations typically include flag raising ceremonies, cultural displays, public festivals and concerts, church services. Although Waitangi Day is considered New Zealand's national day, it has some opponents, mainly Māori activists. They think that the Treatment of Waitangi was inequitable to Māori therefore the anniversary of its signing should not be celebrated as a national holiday.